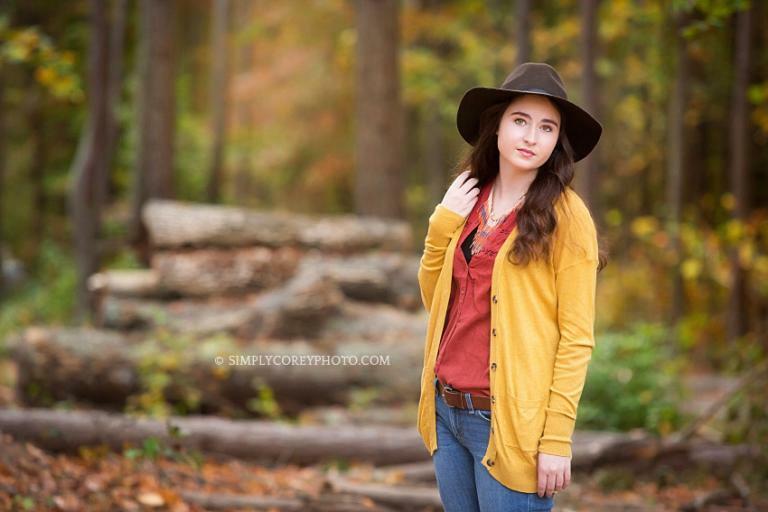 This stunning senior came to my private outdoor location for her senior portraits. I don’t think she could’ve picked a better place for her look! From her boho hat and accessories, to her flower crown and pointe shoes. 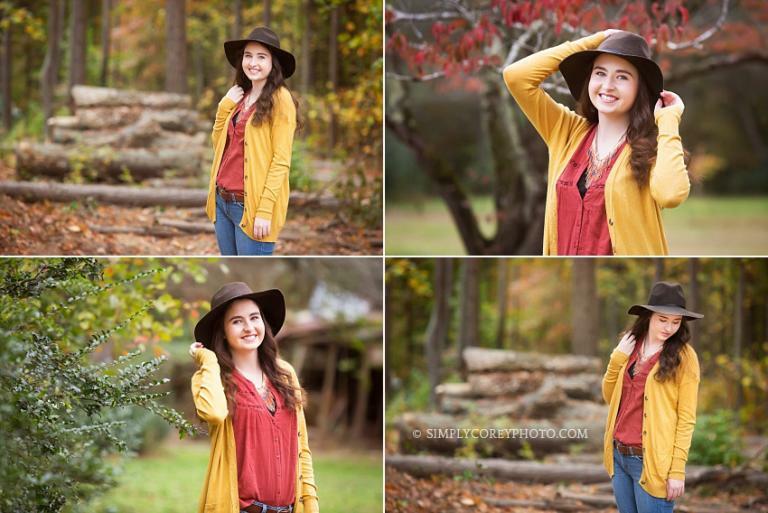 She fit in perfectly with the rustic, natural look of the property and I could’ve photographed her all day! Arielle went to MAC Cosmetics in Douglasville (inside the Arbor Place Mall Macy’s) to have her make up done before her session and they did a wonderful job! And just look at that smile! Arielle was such a natural in front of the camera! At the end of her senior portrait session, we had some fun with a prom dress, a flower crown, and her pointe shoes! I helped embellish the flower crown with flowers we found during the session – and I can’t help but be proud of how it turned out! Now, do you see why I could photograph her all day long? We had so much fun!